Heavy armor no longer suits the taste of every warrior on the battlefield, some soldiers preferring light pieces that do not limit their range of motion. 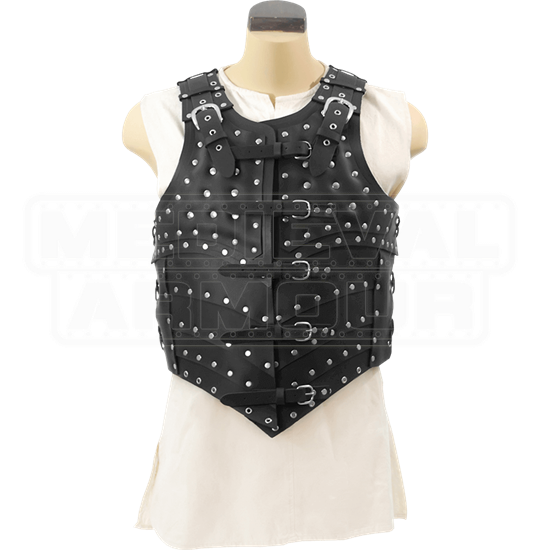 The Leather War Vest provides protective coverage and allows comfortable motion. 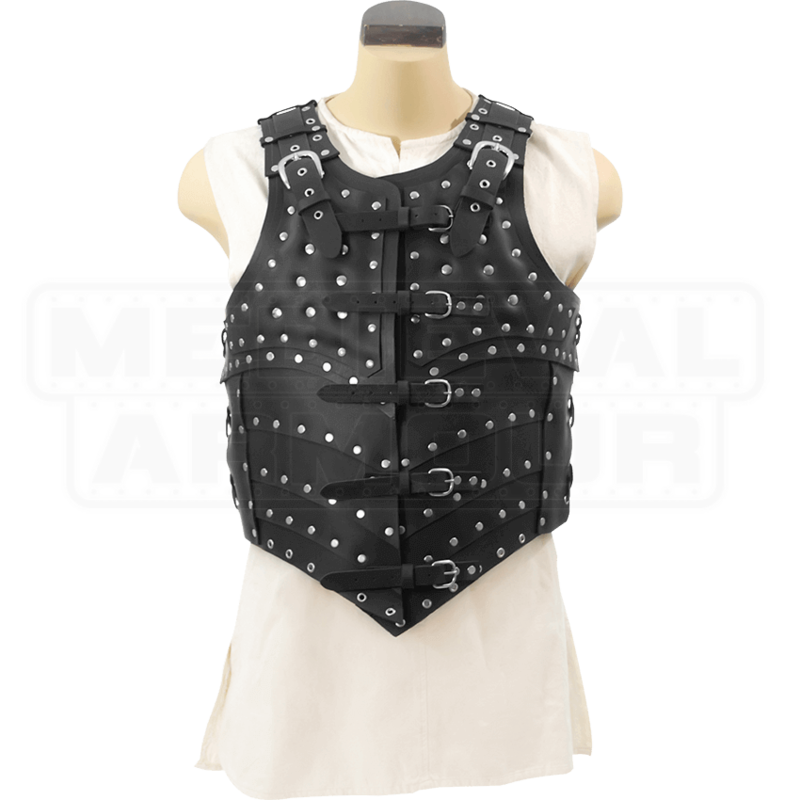 Nickel-plated rivets stud this vest, adding fantastic style to the functionality of this piece. Made from 9-10 oz. leather, this armor has good weight and strength, possessing the durability necessary to be used as costume armor or LARP gear. The Leather War Vest suits many kinds of characters, including musketeers, bards, and thieves!